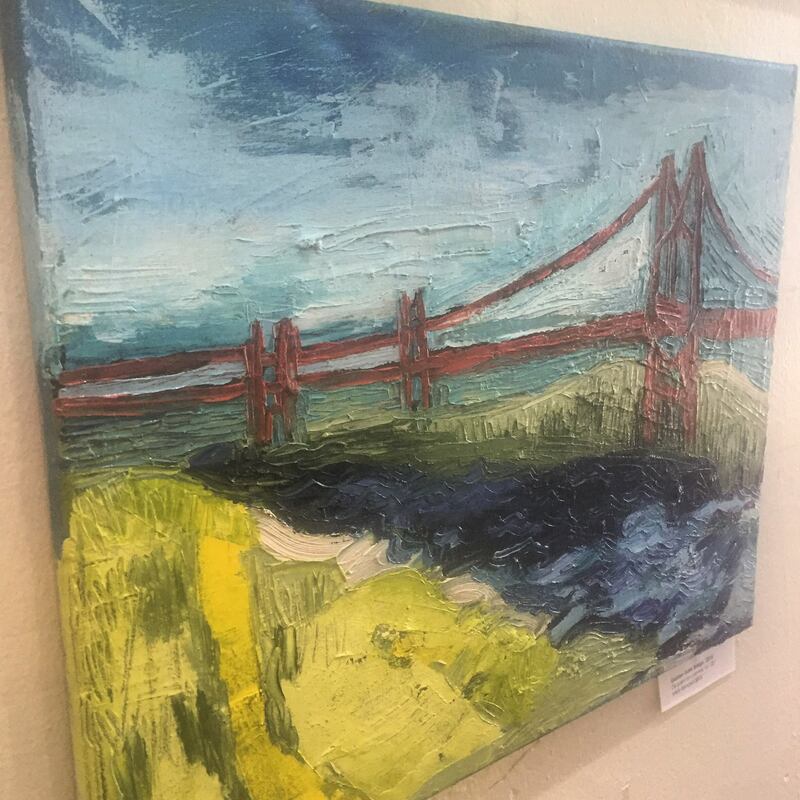 Mery Bernard is showing off her beautiful paintings in the gallery all month! Come by and check her out, say hello, high five. Everyone likes high fives and art! ← Love these whimsical pieces by Nora Bisher up at the gallery now! Come say hi! Art, tattoos, and cold air, boom!